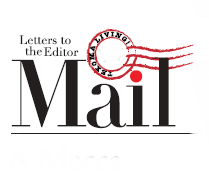 These Letters to the Editor appeared in the Winter 2007 issue of Texoma Living!. I just got a copy of the Fall Issue. Very well done! As good as you will find anywhere in the country. I wanted to compliment you on the Fall Issue—great content (thanks for focusing on people who create art for their livelihood), very readable and pleasing layout. I just became aware of the magazine and have only been in the area three years, but have found that “people make the place,” and have met some very talented and committed people since our arrival. Congratulations on the issue and for all of your effort on behalf of the people who live in Texoma. Texoma Living! is looking so good! It is such a treat to read such interesting stories about local people. The article on Jack and Nancy Ridgeway really captured their gracious personalities. They do so much for so many people. Your magazine is BEAUTIFUL! It gets better every time. Where do you get all of these great stories? I’ve lived her most of my life and had no idea there were so many people with so much to share. I love living here and your magazine is a written testament to just how unique and special a place this really is.